The Gorbachev Foundation says he won it for courage displayed in ending the Cold War. And Mikhail Gorbachev said another such war is impossible. “We started our ties with dialogue, and dialogue must continue. A lot of trust has been lost, but it still exists. The U.S. isn’t planning to fight with us, and Russia isn’t planning to fight with the U.S. This is key,” he said. 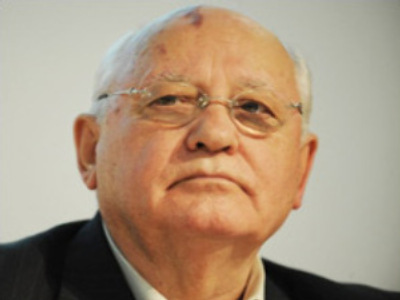 Gorbachev also says the Georgian leadership is to blame for the South Ossetian war. “Russia had nothing to do with the conflict. It couldn’t have acted any differently from the way it did,” he said. George Bush Senior handed out the medal at a ceremony attended by U.S. Secretary of State, Condoleezza Rice, who is an expert on the Soviet Union. “As our partnership deepened, a hope for a future – many never dared dream possible – came squarely into view,” George Bush Senior said. The event was dedicated to the 20th anniversary of the fall of the Berlin Wall. Mikhail Gorbachev is no stranger to international awards. In 1990 he received the Nobel Prize for peace. He has a Grammy for the for Best Spoken Word Album for Children in 2004.